What is a “Real” or “True” MIC – and does VITEK® 2 provide them? It is the reference method. It can be read manually. It does not involve calculations of results. There are a large number of doubling dilutions. Wild type organisms can be differentiated from non-wild type organisms. So let’s consider these various definitions of a “real” or “true” MIC. Is it the reference method? If this were the case, then the vast majority of in vitro diagnostic (IVD) systems would not qualify as “real” or “true” MIC systems. Only those methods that exactly follow International Organization for Standardization (ISO) 20776-1:2006 (E)1 or Clinical and Laboratory Standards Institute (CLSI) M07-A102 would qualify as providing “real” or “true” MICs. There are very few IVD manufacturers that actually provide reference MIC panels. These need to be in a frozen format according to ISO and CLSI. Dried panels, for example, cannot be considered equivalent to the reference method. So this definition is very limiting. Does it just mean that it can be read manually, overnight incubation is required, and/or it does not involve calculation of results? Do IVD systems that can be read manually, require overnight incubation, and/or do not involve calculation of results really produce MICs that are more “real” or “true” than those systems that don’t? AST (antimicrobial susceptibility testing) devices are required to demonstrate performance that is equivalent to the reference method but they are not required to actually perform the reference method on the device. Consider the fact that all systems that are not the reference method require clinical trials (i.e., performance studies) to demonstrate equivalency to the reference method for US-FDA (United States Food and Drug Administration) clearance or CE marking. This includes traditional 96-well trays in dried panel format. In these cases – regardless of how MIC results are obtained – clinical trial performance found in the accompanying manufacturer product labeling is the true indicator of how well these systems perform relative to the gold standard reference method. The US-FDA and ISO have similar, very strict performance criteria that IVD AST systems must meet for clearance or registration regardless of methodology. >90% essential agreement (EA, i.e., percent of time that the MIC of the test method is +/- 1 doubling dilution from the reference method). >90% category agreement (i.e., percent of time that the susceptible (S), intermediate (I) or resistant (R) interpretation of the MIC for the test method matches the S, I or R interpretation of the reference method). <3.0% Major errors based on susceptible isolates only (major errors are isolates that test S by the reference method and R by the test method). FDA regulatory criteria require a very major error rate based on resistant isolates only with proposed statistical criteria for acceptance that include an upper and lower 95% confidence limit for the true very major error rate of < 7.5% and < 1.5%, respectively. For detailed information about the US-FDA performance criteria, see: 2009 Class II Special Controls Guidance Document: Antimicrobial Susceptibility Test (AST) Systems3. For detailed information about ISO requirements, see: ISO 20776-2: 2007 (E)4. VITEK® 2 is US FDA cleared and CE marked, which requires proof that its MICs correlate to those of the reference method. 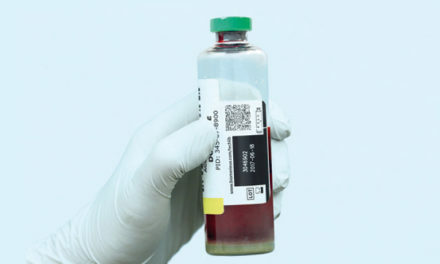 Even though VITEK® 2 AST results can’t be read manually, do not require overnight incubation and provide calculated MICs, the results are aligned with reference method results as indicated by CE marking of all human clinical antibiotics offered on VITEK® 2 and the FDA clearance of most of them. And another point about this – reading MICs manually can be time consuming and very subjective. 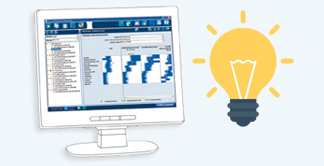 VITEK® 2 AST results match the reference method, but they also offer the added benefits of objective, reproducible and rapid results. 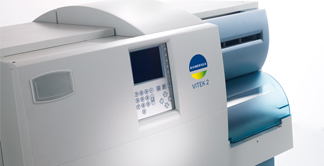 In fact, VITEK® 2 results can be considered more standardized than systems allowing manual result reading, because automated reading removes human subjectivity from result interpretation – results from the same isolate are interpreted the same regardless of who is performing the test. Ok, so is the important thing for a “real” or “true” MIC to have a well for each MIC reported; a large number of doubling dilutions; and/or differentiation of wild type organisms from others? Per ISO 20776-24, an MIC test is a “test that is capable of determining a MIC covering a range of at least five consecutive doubling dilutions, and for which essential agreement (EA) can be determined”. The FDA 2009 Class II Special Controls Guidance Document3, defines MIC Systems as: “Broth dilution, agar dilution, or other methods or systems that have at least five concentrations of generally two-fold dilutions of antimicrobial agents,” with additional specifics that clearly include the VITEK® 2, since the vast majority of antibiotics on the system are FDA cleared to provide quantitative MIC results rather than qualitative category results (SIR). So where does that leave us in our consideration of a “true” MIC? Arguably CLSI M07-A102 defines “true” MIC best as: “The ‘true’ MIC is somewhere between the lowest test concentration that inhibits the organism’s growth (i.e., the MIC reading) and the next lowest test concentration. If, for example, two-fold dilutions were used and the MIC is 16 µg/mL, the “true” MIC would be between 16 µg/mL and 8 µg/mL.” If this definition is used, then no AST device – including the reference method – provides “real” or “true” MICs. In the end, the most important consideration is that MICs are accurate! And the bottom line on MICs and the VITEK® 2? The next time you would like to know if MICs from your AST system are “real”, just remember that for CE marking or FDA clearance, what’s important is that the test must show performance equivalent to the reference method, as demonstrated by the clinical trial performance data accompanying the device. This data set is required by law, and is generated by each manufacturer of non-reference method MIC systems to establish equivalence with the reference method. It’s even better when the AST device provides accurate, reproducible and rapid MICs while positively impacting laboratory workflow, like the VITEK® 2. ISO. Clinical laboratory testing and in vitro diagnostic test systems – Susceptibility test of infectious agents and evaluation of performance of antimicrobial susceptibility test devices –Part 1: Reference method for testing the in vitro activity of antimicrobial agents against rapidly growing aerobic bacteria involved in infectious diseases-First Edition. ISO document 20776-1. Switzerland: ISO; 2006. CLSI. Methods for Dilution Antimicrobial Susceptibility Tests for Bacteria that Grow Aerobically; Approved Standards, 10th Ed. CLSI document M07-A10. Wayne, PA: Clinical and Laboratory Standards Institute; 2015. U.S. Department of Health and Human Services, Food and Drug Administration, Center for Devices and Radiological Health. Class II Special Controls Guidance Document: Antimicrobial Susceptibility Test (AST) Systems. http://www.fda.gov/MedicalDevices/DeviceRegulationandGuidance/GuidanceDocuments/ucm080564.htm. U.S. Department of Health and Human Services; 2009. ISO. Clinical laboratory testing and in vitro diagnostic test systems – Susceptibility test of infectious agents and evaluation of performance of antimicrobial susceptibility test devices – Part 2: Evaluation of performance of antimicrobial susceptibility test devices-First Edition. ISO document 20776-1. Switzerland: ISO; 2007. 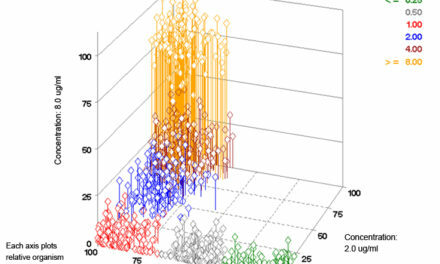 How does VITEK® 2 Generate MIC Values?